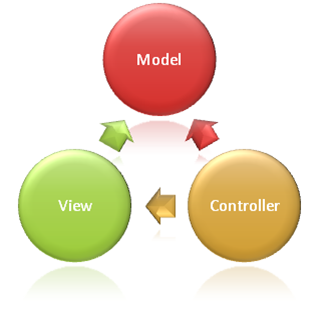 Md or domain model represents core work of application with out knowing a view exists. Where Ma or Application model knows may be a view exists and that need some way to bind it. So the problem of communication between Model and view is solved. 2. A controller handles the input event from the user interface, often via a registered handler or callback. 3. The controller accesses the model, possibly updating it in a way appropriate to the user’s action (e.g., controller updates user’s shopping cart). 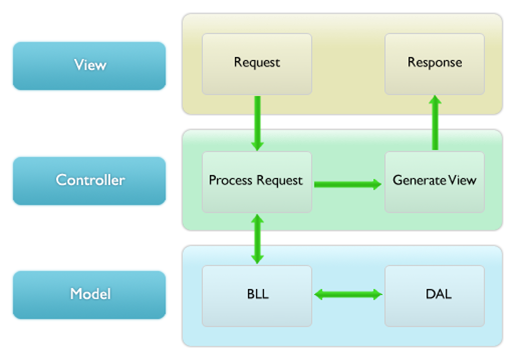 Complex controllers are often structured using the command pattern to encapsulate actions and simplify extension. 5. The user interface waits for further user interactions, which begins the cycle a new. This entry was posted in C# and tagged C#, dotnet, MVC. Bookmark the permalink.